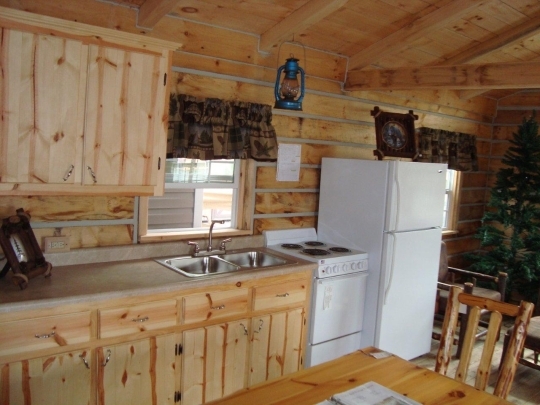 The photos below are of a model log cabin home previously on display at Eash Sales in Shipshewana, IN. 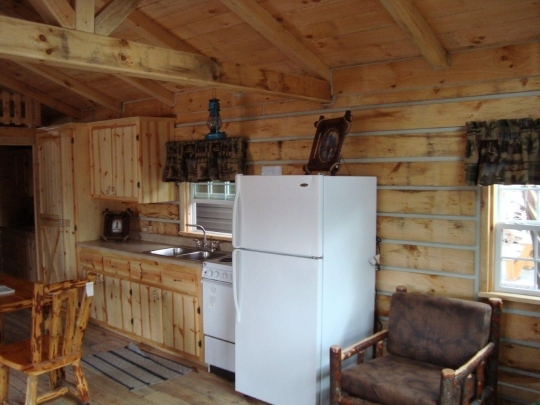 This cabin has since been sold and replaced by a two-story model. The company that makes these is called Hoosier Rustic Cabins, and has recently changed owners. Looks like a cozy little spot. UPDATE: Here’s the price sheet and cabin layout. This photo is 2-3 years old, but the person who took the photo is pretty certain the price remained the same until it sold one year ago. You can see below the price for this configuration (without furniture/appliances) is $27,606.90. Wow i could see myself living there, sitting on the porch on a beautiful summers evening on a rocking chair, or sat around the wood stove of a snowie winters night all warm and cosy. They look fantastic and truly well made, i have a lovely oil painting of a wood scene by a wooded lake with cabin in the picture, guess it could be one of those cabins, that would be my ideal dream cabin i think. Thanks Erick for these great pictures just love them 🙂 . Ahhh, my dream! Out in the country or in the woods. I just love the look of that and if they were really cheap that would be the cherry on top. LOL I even like the doors on the pantry and the bathroom. Thanks for sharing that. Wow Wow what a nice well built home.I would like to know the price,if its for sale….. 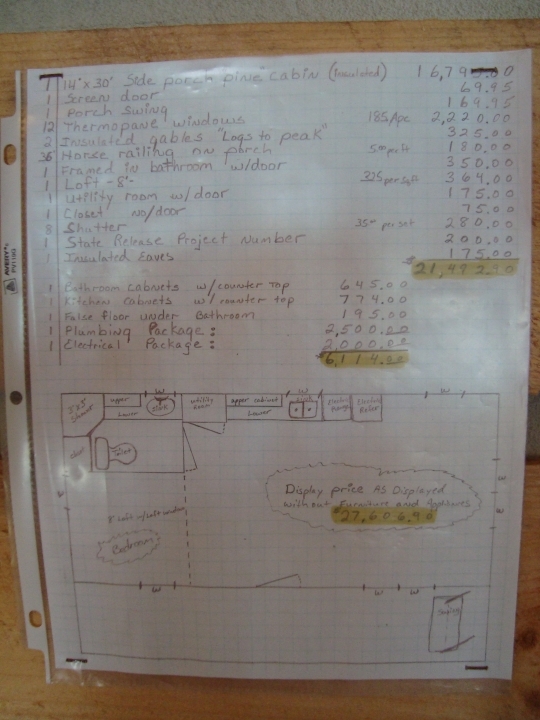 I just updated the post with price and layout information. Did anyone end up driving there to price these…Does anyone know if they will come and set it up on your land too ? Cute little place to snuggle down in and read a good book. I too could see myself sitting in my rocker on the porch. Wonderful cabin! I’d love to have one like that out in the woods and sit on the porch listening to the birds and animals. It looks very cozy indeed and SO solidly built. Maybe someday…. 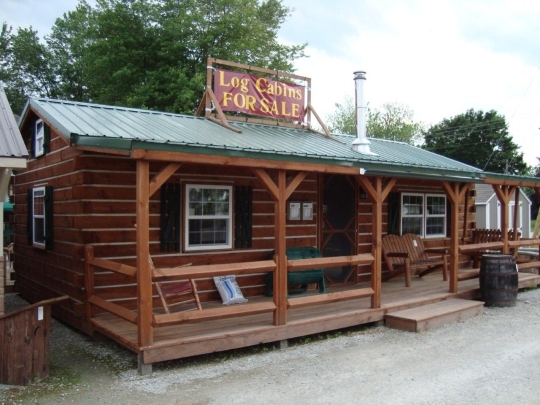 Most “log cabins” I have seen are pretty cheesy looking. This one is really nice. I’d like to have one of these on a lake somewhere in the deep piney woods; what a welcome retreat that would be. These are beautiful weekend getaways! I have wanted an Amish built cabin for years. I met an Amish man in MN who’s business is called R&S Sawings. When he asked what I thought it stood for I replied with his name. He told me it stands for Reuben & Sons but his sons claim it stands for Reuben & Slaves! Is this cabin a giveaway Erik? Ha! I’m saving the old fashion way and one day will have an Amish built cabin in the woods! 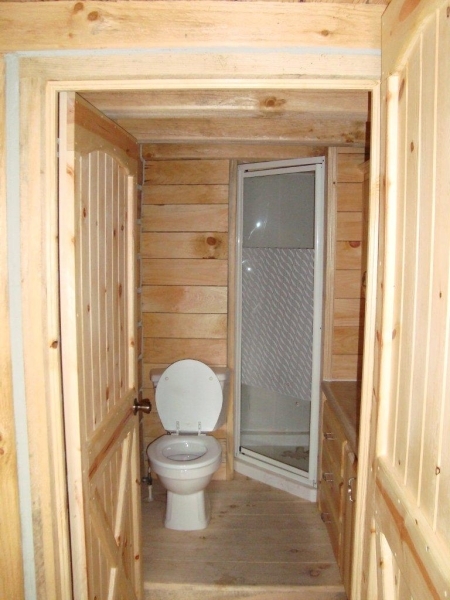 I’ve always loved the looks of log cabins — perfect size for me! A man could live there. I’ve yearned for a log cabin for decades. This would make for a perfect “Dawdi house”(or, “Busia house” in my case). It would be just for me… and my cat. I would also add a safe room or basement, but size-wise, this is ideal! I’d screen in the porch and use it as a sleeping porch for a good part of the year. Boy, could I get a lot of reading done there! I have always dreamed of living in a log cabin. We live in the country and this would fit perfectly on our property. Guess I’ll have to hope I win the lottery. LOL But, you have to play to win and we don’t evey play. I would love to have one of those for retirement!!! Thanks for sharing it. Wow! That’s much nicer than what I live in now. I’d move in in a heartbeat! Small Amish cabins are great. Please see our website at http://www.amishcabincompany.com for 5 models of Amish built cabins which we deliver preassembled, prebuilt and fully assembled including all fixtures and inspected/stamped electrical wiring. 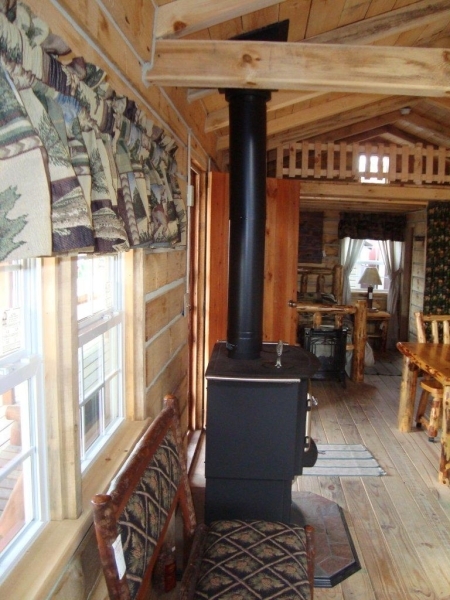 We also sell and ship cabin kits and larger custom built onsite cabins. 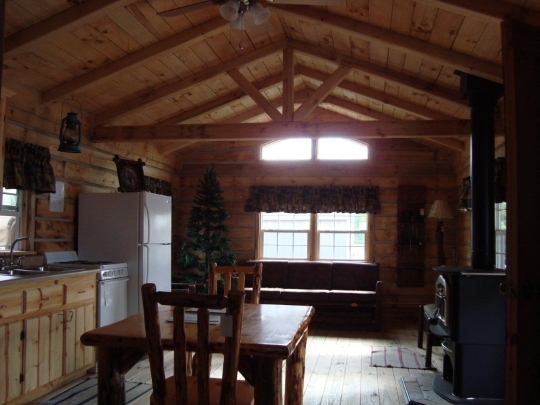 Our cabins are inspected during construction and approved by the state of Kentucky as modular residences. They’re delivered ready for same day use, set on your foundation. They’re not trailers or mobile homes- no axles, wheels, chassis, they are deed real estate- modular cabins. High efficiency 3Ht insulation and 2 off-grid solar power options available. 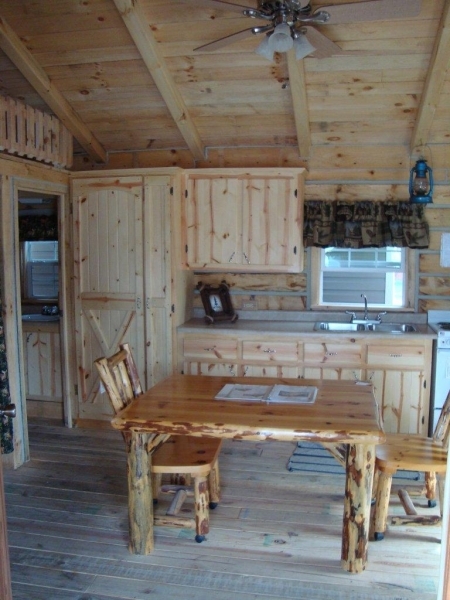 We build/deliver modular cabins up to 14′ X 40′ with up to 2 bedrooms, 2 baths, kitchen, living area, and up to 2 lofts. We can build and deliver 2 such cabins and join them onsite for double this size. im looking to get info on having something similar built in southern allehgeny county new york. Any suggestions or people to contact? My name is Jake Rosen and I am a Development Producer, at a major television company based in NYC. We have created shows for Discovery, Destination American, History and many other networks. I am always on the hunt for new show ideas, and while researching ideas I came Amish builders. I have spoken to some people at networks who also think this could be a great fit! If you have time I would love to set up a call and discuss this topic and see if we can work together in some way. Any help is appreciated! Not my dream but definitely my mom’s dream. I think it is awesome that they are built by the Amish! I am wondering if there are Amish built sheep herder wagons. My idea is for a sheep-herder style structure that would become mounted on a 8×16 tandem axle trailer and would be used as a camper. The trailer would of course make it road worthy and the structure would be of similar design of those used by Basque sheepherders that are typically mounted on a 4 wheel wagon which used to be pulled by horses. That log cabin is truly stunning! It’s no surprise that more and more people have an easy time seeing themselves living in one of these beautiful structures. What is Amish Wood Milk? Do we romanticize the Amish?